Water is a resource that is essential to all aspects of life. Food production plays a major role in water issues. Currently agriculture accounts for 70 percent of all freshwater withdrawn all around the world. The world population is predicted to grow to 9.1 billion in 2050 and by 2030 food demand is predicted to increase by 50 percent (70 percent by 2050). Demographic growth and the impacts of climate change are expected to add further stress to water availability, leading competition for water to increase and water supply to become less reliable in several areas of the world. Inefficient and unsustainable use of water for agriculture and food production carries significant detrimental effects on both ecosystems and populations: it depletes aquifers, impacts on natural habitats, increases water pollution and impoverishes communities, especially where freshwater resources are already scarce. Current water use systems and prospective future water demand raise the challenges of providing solutions to use water more efficiently and to guarantee food security under changing climate conditions. 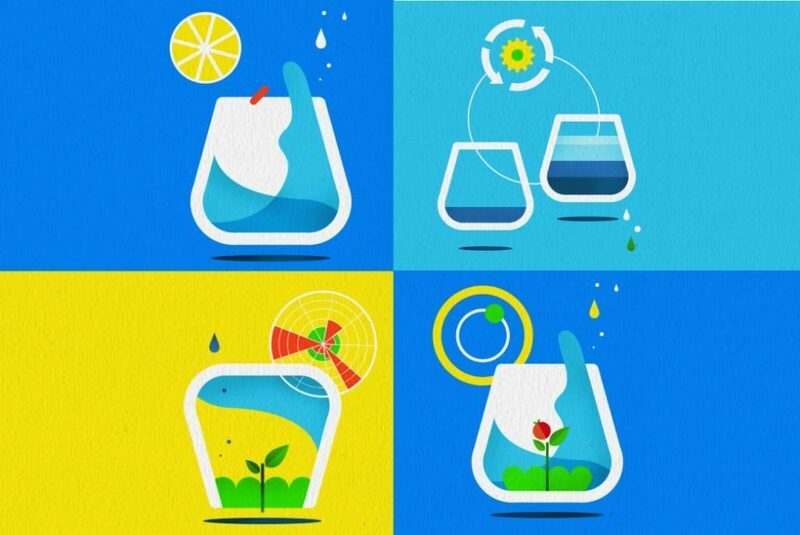 The Best Climate Practices Contest of 2015 aimed to showcase innovative solutions to improve efficient water management and water-smart food production, and to help the winner/s in scaling up existing projects or implementing ground-breaking ideas. 45 projects and ideas from all over the world participated in the 2015 Best Climate Practices Contest. Former member of the U.N. Secretary General’s Advisory Board on Water and Sanitation, and Chairman of Fondazione Eni Enrico Mattei Scientific Advisory Board. He was Managing Director of the International Monetary Fund from 1987 to 2000. Previously, he served as Deputy Governor and Governor of the Bank of France and Director of the Treasury. Carlo Carraro is Professor of Environmental Economics at the Ca’ Foscari University of Venice. He holds a Ph.D. from Princeton University. He has been President of the University of Venice from 2009 to 2014 and Director of the Department of Economics from 2005 to 2008. In 2008, he was elected Vice-Chair of the Working Group III and Member of the Bureau of the Nobel Laureate Intergovernmental Panel on Climate Change (IPCC). He has been re-elected in 2015 for a second term. Lead environmental economist for the Africa region of the World Bank. He has led the water resource management, natural resource management, and disaster risk management communities within the Africa region. Before joining the World Bank, he worked in the Italian Ministry of Economy and Finance and was research associate at the Centre for Social and Economic Research on the Global Environment, University of East Anglia. Founding director and now Chairman of the UCD Earth Institute in University College Dublin. Chief economist at Environmental Defense Fund. He is active on a number of EU wide investigations and bodies, member of the Science Committee of the European Environment Agency and President of the European Association of Environmental and Resource Economists. Professor of Agricultural Economics at Universidad Politécnica de Madrid. He serves as Deputy Director of the Research Centre for the Management of Agricultural and Environmental Risks (CEIGRAM) and Deputy Director of the Water Observatory of the Fundación Botín, Madrid. His research focuses on economics of water, drought management, water footprint and virtual water, agricultural policy, risk management, climate change and agricultural insurance. Admitted candidates are graded with a score equally weighted between the public online poll’s results and the assessment by the international Expert Panel. The author of the practice receiving the highest score is awarded the prize. The winning practice of the 2015 BCP contest was awarded 10000 euros (*gross amount subject to withholding tax). Moreover, the Award promotes the winner and other deserving projects in competition through its communication channels and initiatives. The winner of 2015 contest is the Ethiopia-based NGO Roots up, with its project: “A multifunctional greenhouse to grow food and collect water”. The system is designed to grow food and collect water addresses both water scarcity and food production issues, especially in arid areas. It captures and store dew, fog and rain water, which can be reused throughout the year both for irrigation and as drinking water. The main objective is to help communities who live in harsh climatic conditions and face soil erosion and recurrent droughts. In order to enhance communities’ resilience and adaptation to climate change, Roots Up organizes training courses for farmers on how to build their own greenhouse. The training comprises soil improvement and water management practices. The winner was announced in October 2015 and the prize awarded during a ceremony organized at Expo Milano 2015 Universal Exhibition.